An SKSE plugin to prevent crashing that may occur when loading games from the main menu in a heavily modded Skyrim setup. 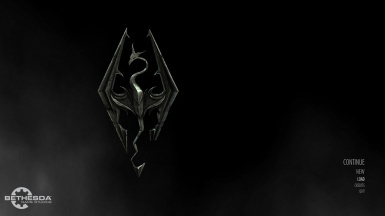 If you play Skyrim with lots of mods you probably experience regular crashing when loading a save game from the main menu. Getting around this would usually require a form of double loading by doing a "coc" console command from the main menu, loading a "safe" save first, or using an alternate start mod to quickly start a new game and then loading your desired save after the game has loaded with one of those methods. I had automated this process in Continue Game No Crash which I published a while back but it wasn't perfect as it required the use of an ESP which wasted a slot in your load order, the initial double loading took longer, and a few people perceived it as a harmful mod that would bake bad data into your save game despite the fact that the alternative was that you couldn't play your game at all. Admittedly at the time I didn't fully understand why Skyrim was crashing and just automated a trick that other people used to load save games that otherwise wouldn't load. I have now figured out the cause of the problem and come up with a much better fix. Given the new knowledge about the problem and some previous history with Continue Game No Crash I have decided to publish this as a new mod rather than just create an update for Continue Game No Crash for reasons I will explain below. First an explanation of the problem which you may want to skip if you don't have some programming experience. Many people perceived the crash on load problem, which commonly manifested itself as the FootIK bug reported by Crash Fixes, as a memory problem where Skyrim was trying to load too many things at once. Other people thought it was due to bad data in the save that shouldn't be loaded. The problem is related to lots of data to load but the crash is caused by a multi-threaded race condition and not because there isn't enough memory available or because of bad save data. Essentially a programmer at Bethesda forgot to put a mutex somewhere to protect critical data which allowed one CPU core to access data which was not yet finished being loaded by another CPU core. In a vanilla game setup there was only a rare chance of this happening because there wasn't enough data to trigger the race condition, but in a heavily modded game more time is spent on loading data which made it likely for another CPU core to access it prematurely without a mutex there to protect it. The double load methods people used to get around the crash on load worked due to the fact less data was loaded between steps which reduced the chances of the race condition happening because processing happened a little quicker with base data being loaded first and then everything else the second load with the base data already cached in memory. The fix that this SKSE plugin makes to prevent this crash from happening is to restrict Skyrim to using only a single CPU core when loading saves to avoid this race condition. You may experience slower load times as a result of the restriction to a single CPU core during loading of a save game, but it is generally faster than the double loading of Continue Game No Crash and after the game has finished loading all the CPU cores will be available for use again so there will be no impact on performance. Because this is only an SKSE plugin and doesn't use an ESP it can be added and removed from your game at any time. The choice of "Continue Game No Crash" may not have been the best name as people searched for words like "load ctd fix" and such. I named it "Continue Game No Crash" originally because the first version of the mod only worked with loading the most recent game like clicking on the CONTINUE button does on the main menu. There is a perception by some people that Continue Game No Crash is a harmful mod similar to Stable uGridsToLoad and that it would introduce other problems into save games. I figure a new name will avoid the stigma now that a proper cause and solution to the problem have been found. New mods can get more visibility than updates to mods that have been around for a while and I figure this would help switch people away from using Continue Game No Crash as this is a better solution with no ESP and no double loading. This mod is not guaranteed to work 100% of the time as it is trying to work around bugs that exist in Skyrim. If this does not work for you then there are likely other mods causing problems that you will need to take some time to diagnose. It is difficult to make this work for every computer with every possible combination of mods. I highly recommend you try using Crash Fixes in addition to this mod as it contains various fixes to prevent crashing that this mod does not fix. You may also want to follow the Stability Performance Optimization ENB Configuration guide to try and resolve any stability issues you may have.